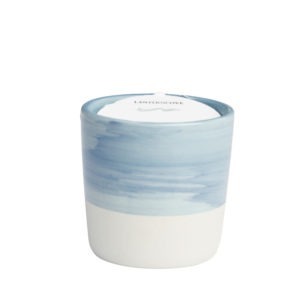 Hand-poured right here in Australia, this 3oz (85g) hand brushed candle has been filled with our rich, creamy soy wax and combined with the sweet but subtle fragrance note of Blueberry. 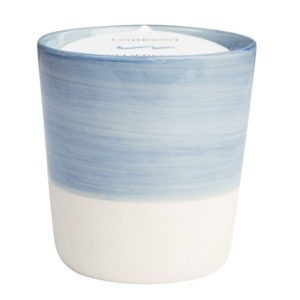 Hand-poured right here in Australia, this 8oz (226g) hand brushed candle has been filled with our rich, creamy soy wax and combined with the sweet but subtle fragrance note of Blueberry. WHY CHOOSE OUR SCENTED SOY CANDLES AND DIFFUSERS? At Lanterncove, creating high quality scented soy candles and diffusers is our priority. Lanterncove soy wax candles are hand-poured in Australia. Moreover, we know that it is our commitment to service that really sets us apart. As a result, our soy candles are a mainstay feature of many homes. Our diffusers have been transforming spaces into one of a kind memorable experiences. In a world that often moves quickly, it pays to slow down and take the time to simply, breathe. With carefully crafted elements and design, our scented soy candles and diffusers will make that next inhale wonderful. We believe in not just creating memories, but transforming them. With a highly professional team, you can be assured that your next candle will capture both excellence and value in one, beautifully packaged product. All our scented soy candles and diffusers are made with love. We are truly passionate about creating beautiful and aromatic products for our customers. We love making customers happy by delivering nothing but the highest standards in the industry. Our customers are at the heart of our business and we take every step to ensure happiness with our soy wax candles & diffusers, every time. FREE Shipping Australia wide for orders over $150, $5 flat rate for order under $150. $15 flat rate for New Zealand order. Specific shipping prices for all other international orders apply. Be 100% satisfied with our scented soy candles and diffusers, or your money back. Guaranteed! To receive the latest updates and exclusive offers. The Lanterncove brand has been developed to provide a unique, ever-evolving range of scented soy candles and diffusers for an adoring Australian market. We frequently introduce new and innovative designs, while also maintaining those ranges you love. This gives us our vibrant edge as well as allows us to adapt to the static and dynamic needs of our market.